Adventurers can set foot on the long road to becoming king–all while helping do some good in the world. Check out the newest Bundle of Holding today! 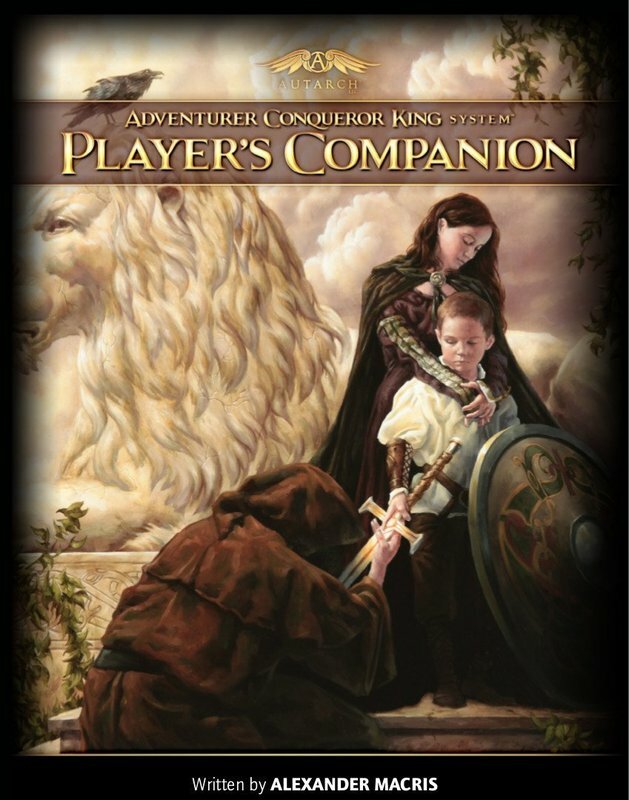 We’ve talked about the Adventurer Conqueror King System here on BoLS before. Not only is it a great system for high-level play, it’s also a fun system for enjoying the journey to high levels. ACKS lets you recreate the feeling of the adventures of Conan: heroes start off as wandering adventurers and vagabonds, who, through the vicissitudes of fate (and a heaping helping of blood and glory) end up as, well, conquerors and kings. It has some of the best rules for handling domain/empire-building, as well as giving you comprehensive tools for world-building and discovery. Actually ACKS has some of the best tools around–they have a comprehensive understanding of their system, and they are not afraid to take you under the hood, whether it’s for making your own classes, domains, or what have you. If you’ve never played a session of it, it’s well worth checking out. And since Autarch has partnered with Bundle of Holding, you have a chance to try them out for as little as $9.95–which gets you the core book, player’s companion, the military/war rules, a setting primer, and an intro adventure. 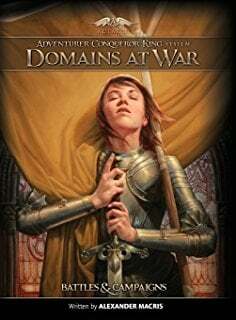 Domains at War…what is it good for? Running military actions in your campaigns. If you beat the (current) threshold price of $21.12 you get even more–including a megadungeon and what is essentially the monster manual but for troops. So if you’re thinking about trying this system out, now’s a great time to get involved–you’ll pick up the books at a discount and also help out a worthy cause–ten percent of the proceeds benefit the United Mitochondrial Disease Foundation. This offer is good until January 30th, so get in before it’s too late. ~Crush your enemies, see them driven before you, and hear the lamentations of their (according to table 6A-2 [Lamentations]) boatswains.